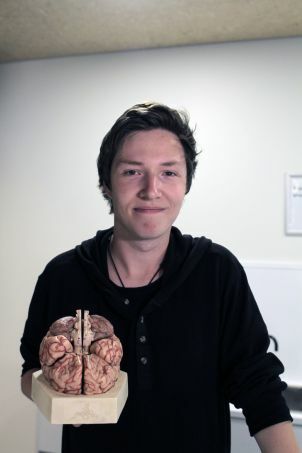 Choosing to study Psychological Science at JCU means you will be studying within some of Australia's smallest tutorial groups. Your tutor will care about your success. You'll have access to world-leading research, study and observation facilities and be able to hear leading experts presenting lectures and seminars – and also build networks that could help you when you're ready to begin your career. Once registered, you can also progress to specialist areas including Organisational Psychology, Forensic Psychology, and Educational and Developmental Psychology. An increasing number of psychology graduates work as researchers in industry and government agencies. A minimum 6-year sequence of education and supervised training is required to become eligible for registration as a psychologist with the Psychology Board of Australia. After graduating from this 3-year degree you must complete an accredited extra year of study, either the Bachelor of Psychological Science (Honours) or the Graduate Diploma of Psychology – plus two years of supervised practice in the field. Alternatively, you can complete a 2-year Master of Psychology (Clinical) with one year of supervised practice. Personalised attention: You will learn in tutorial classes that are among the smallest in the country, with friendly, helpful and approachable academic staff. Dedicated facilities: Laboratories in Townsville including observation suites, electrically shielded psychophysiology recording facilities and a controlled environment research suite. The Townsville Hospital has state-of-the art neural imaging equipment and provides outstanding training, treatment, and research opportunities. In Cairns, modern research facilities include a purpose-built drugs and human performance research facility, and others for cognitive neuroscience and perception. A working Psychology clinic treats patients on campus in Townsville. Studying abroad: Why not participate in an international exchange to study Psychology overseas for six months? This could be a tour Singapore campus, or with other partner universities including Maastricht University in the Netherlands – with its respected Psychology program taught in English. Research driven: As a student in the College of Health Sciences you will enjoy excellent teaching, and the College’s research focus can open doors to further study and exciting Psychology research projects. Learn to benefit individuals and society as a result of your studies of human behaviour, relationships, mental functions and social processes. Explore current concepts and historical developments in psychology. Study the methods and ethics of scientific investigation and evidence-based practice. Experience the benefits of studying within some of Australia's smallest tutorial classes. Access JCU's observation suites, electrically shielded psychophysiology recording facilities, drugs and human performance research facilities. You may also decide to study a joint degree. Graduates of this course, who wish to become a fully registered psychologist, must complete an accredited fourth year course (e.g. BPsychSc [Hons] or Grad DipPsych) plus two years of supervised practice in the field; or an accredited Master’s degree (e.g. Master of Psychology [Clinical]) with one further year of supervised practice. You will study a core program in Psychology and choose additional psychology electives according to your interests and requirements. You’ll also study electives from non-psychology subjects. Applicants who gain entry to this course can study a combined degree with the Bachelor of Business (except accounting major) over four years full-time or equivalent part-time. Graduates of this course, who wish to become fully registered as psychologists, must complete an accredited fourth year course (e.g. BPsychSc(Hons) or GDipPsych) plus two years of supervised practice in the field; or an accredited masters degree (e.g. Master of Psychology (Clinical)) with one further year of supervised practice. Must successfully complete all level 1 requirements before attempting any level 2 subjects. Must successfully complete 50% (12 credit points) of level 2 subjects before attempting any level 3 subject. Achievement of a minimum grade point average of 5.0 (i.e. credit average) across PY2103, PY2107, and a minimum grade point average of 6.0 (i.e. distinction average) across 15 credit points of level 3 PY subjects, including PY3101 in the Bachelor of Psychological Science. The Bachelor of Psychological Science (Honours) degree is available for high-achieving students. It consists of extra study and the development of a personal research project and thesis. An Honours degree is usually essential for entry to research higher degrees. Refer to the Bachelor of Psychological Science (Honours) Handbook for eligibility information. We also offer the Bachelor of Psychology (Honours). Where did JCU take you? Rachel Katterl shares her experiences in the workplace since graduating in 2007 with a Bachelor of Psychological Science.